Complete the form below to sign up for our weekly list of Real Estate Listings for homes in Calgary ideal for First Time Home Buyers. This will help you familiarize yourself with the marketplace and homes for sale before you start viewing homes. We will automatically e-mail you all of new ACTIVE and the SOLD listings, complete with List and Sold prices for all First Time Home Buyer’s homes. When graphic and web designer Andy Stanleigh bought a house last summer, he learned the value of having a real estate lawyer on call. A few days before closing, Mr. Stanleigh and his wife received a surprise letter from the vendor’s lawyer, saying that they needed to immediately pay nearly $1,100 in property taxes. The letter stated that the vendors had paid the final property taxes for the year, and so the Stanleighs needed to reimburse them before the house sale could close. It was a stressful moment, coming on the brink of finalizing the sale. But his wife’s mother, who is a legal secretary for a real estate lawyer, called the city and found out that the vendors actually owed the city $500 in unpaid property taxes, which meant the Stanleighs did not in fact owe them any money. The couple’s real estate lawyer drew up a letter insisting the vendors pay the outstanding taxes immediately and send proof of payment. The vendors complied and the sale went through. Frequently, Canadian home buyers don’t bring in a lawyer until a deal is done. We sign on the dotted line, then take our purchase agreement to a lawyer who does a title search, registers the deed and handles the transfer of funds. We know we need a lawyer to do this but no one wants to spend any more on legal fees than they have to, right? 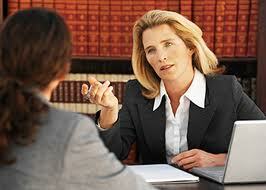 Getting a lawyer to review the paperwork ahead of time can make a huge difference. “Because instead of using the word ‘encroachment,’ [the vendors] used the word ‘easement,’” . In that case, the client would have to pay more to correct the problem after the fact, including the cost of title insurance, extra legal fees and the drafting of encroachment agreements. “I would always put down [in a purchase agreement] that I want the offer conditional on the buyer getting the financing he wants,” he said. “As opposed to just, ‘conditional on financing.’ For example, if the bank offers a mortgage rate of 6 per cent as opposed to 3 per cent, a home buyer might want the ability to opt out of the deal. A lawyer is particularly important when it comes to purchasing a property that has not yet been built. Home buyers will need a lawyer’s help to decipher the 30 to 50-page purchase agreements that are common with condo purchases, or Glen and the Team can Recommend Condo Document Review Companies that can explain the details better than the Lawyers. Glen will explain the Details of the Condo Association when you Review the real estate listings. In large urban areas like Toronto Vancouver, and Calgary a softening market has prompted many developers to offer sales incentives. However, those incentives might look quite a bit different than home buyers expect once they are written into a legal document. “You do need to look at those types of details.” Also review the real estate listings for exact details. Condo or new home buyers can get another unpleasant surprise when their final purchase price ends up much higher than originally thought. Builders might sell you a home for $300,000, for example, but that doesn’t include the many added charges that can be added on, like warranty protection against occupancy delays or structural defects, water meter and hydro installation, property taxes, landscaping, development charges, education levies. This can add thousands to a home purchase. Always check with your provincial law society to ensure a prospective lawyer is in good standing, or to find a lawyer near you. 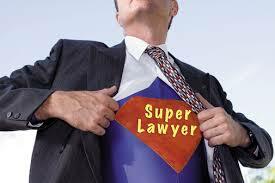 The Law Society also has an online Directory of Certified Specialists. Your lawyer should spend at least 90 per cent of their time on residential real estate (as opposed to someone who does the odd transaction), and should give you a written quote including disbursements. In most large urban regions, professional fees can range from $700 to $2,000, plus the costs of title insurance, land transfer tax (not in Alberta), title searches, and other out-of-pocket expenses. Most lawyers will charge an extra $300 to $800 if they have to register a mortgage at the same time. 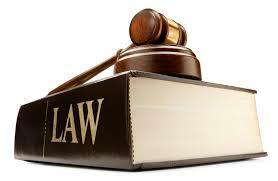 Purchasers will usually pay more than vendors given their lawyers will have to carry out more work. 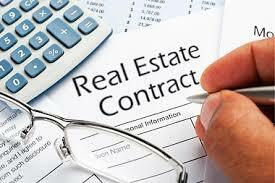 More Questions Contact Glen and he can help you Review the Real Estate Listings and Write the Contract Correctly! Don’t forget to get your Realtor’s input and Review all real estate listings completely.